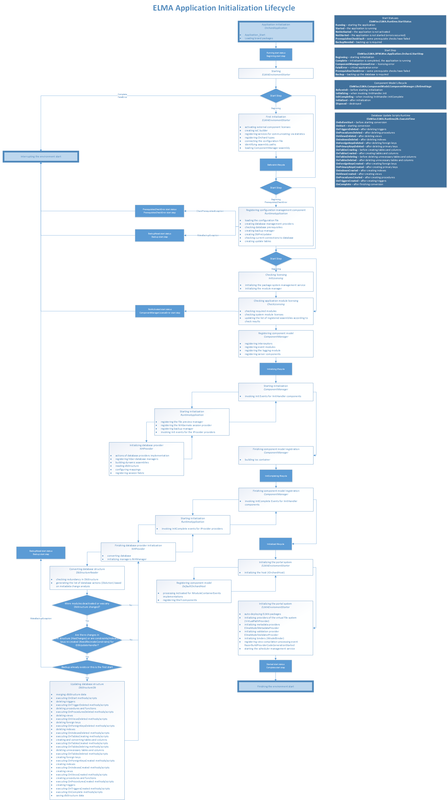 This article provides a scheme of the ELMA application initialization lifecycle (fig. 1), which illustrates the start stages and component model building lifecycles. Files, attached to this article, are the lifecycle scheme in .vsdx, .png, and .svg formats. For convenience, download the scheme to your device.